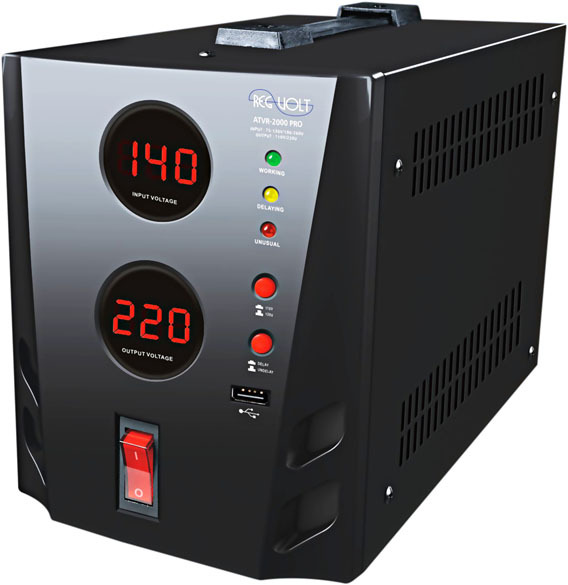 This Heavy-Duty Continuous Use Voltage Converter Transformer can be used with both 50Hz and 60Hz. 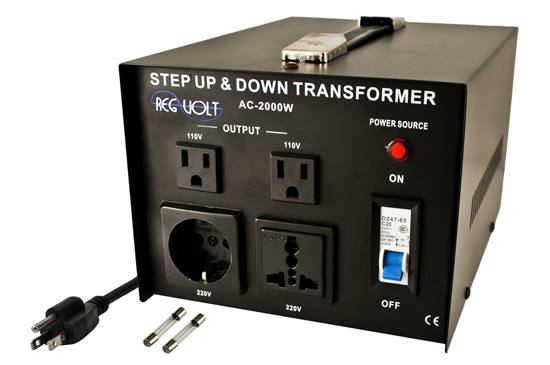 It will step Up single phase 110V/120V to 220V/240V single phase, OR Step Down 220V/240V to 110V/120V. It has an ON/OFF switch with an indicator lamp. 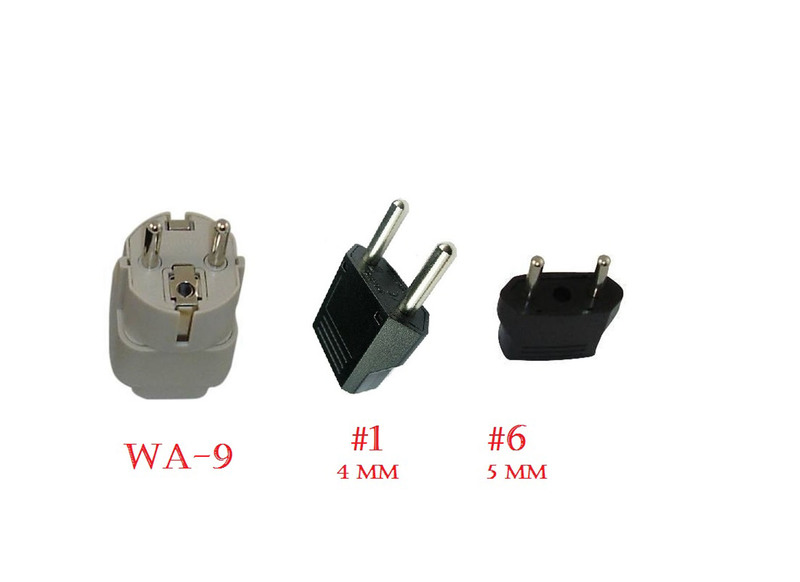 There are six outlets on front of the unit – two outlet for 110V/120V and four outlets for 220V/240V. 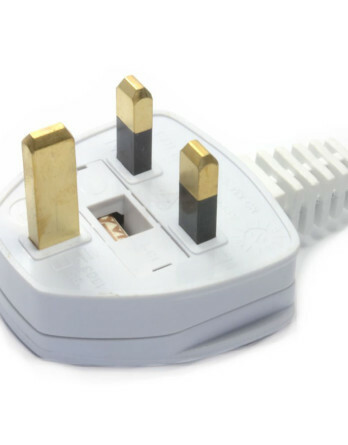 The 220V/240V outlets are two USA patented universal output sockets that will accept all types of plugs except the big South Africa plug and two European Shucko output socket. 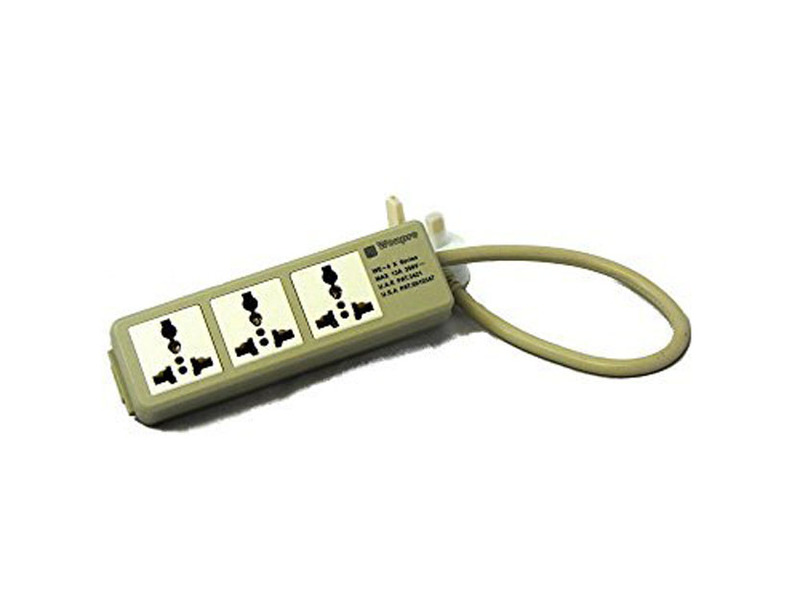 The insulated power cord is hardwired with a grounded USA plug. 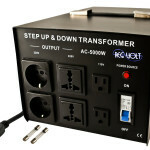 A grounded European Shucko plug is provided in the box to enable the use of this transformer in Europe and Asia. This unit has a metal casing. 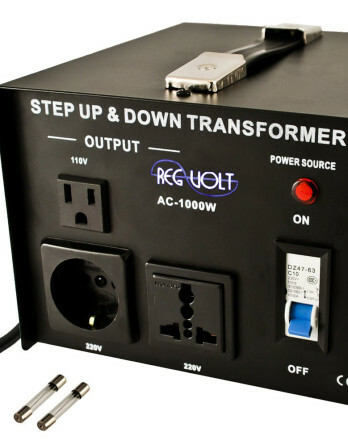 This transformer is fuse protected. Two spare fuses are provided. 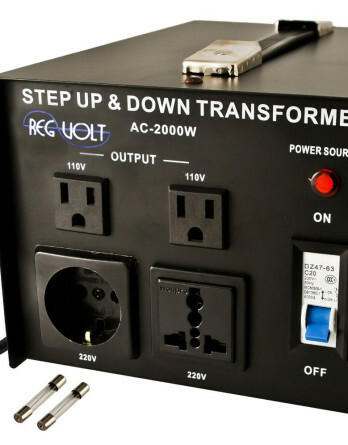 These transformers are “CE” Certified. These step Up/down Transformers also called Voltage Converters are heavy duty Voltage Transformers for continuous use with 110V/220V/240V power. 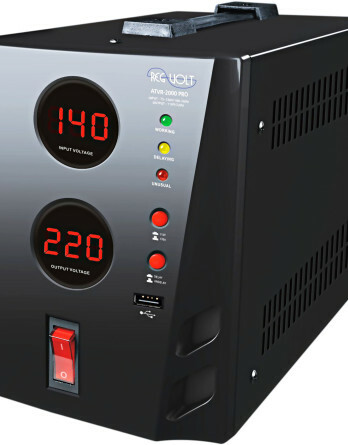 These units work both ways as Step Up Voltage Transformer and Step Down Voltage Transformers. 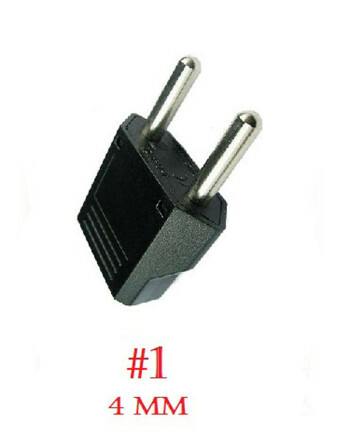 These are meant for worldwide use. 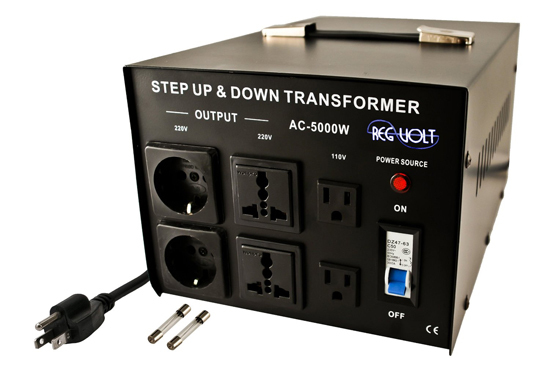 Also known as Step Up Converter Or Step Down Converter, dual voltage transformers or power converters. 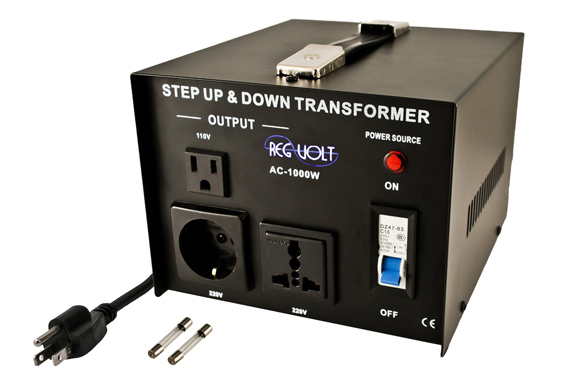 These Step Up Transformers and Step Down Transformers can be used for all electronics, household appliances or heavy duty machines.